This book originally saw the light of day as a long running series of articles in Wargames Illustrated in the late 1980’s. Due to growing interest in the wars of the late 17th century, the author of the original features has complied them along with new research and made them available again for the first time in thirty years. 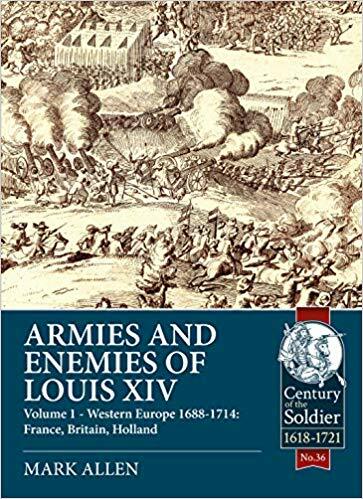 The book is very much a handbook covering all the major conflicts and battles of the period, it examines how the armies were organised and fought. Each army is covered, with attention paid to specific uniform details, and the colours carried by the individual regiments.